Our most comprehensive, highest potency formula created for the healthy support of your joints and connective tissues - including high levels of the three most popular, well researched and effective natural ingredients for the maintenance of healthy joints - Chondroitin Sulfate, Glucosamine Sulfate and MSM, along with the added benefit of our Proprietary Activated Curcumin-Phospholipid Complex. 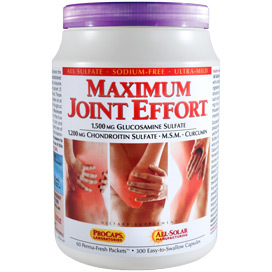 Andrew Lessman's MAXIMUM JOINT EFFORT is our most comprehensive formula providing optimum potencies and the ideal forms (All Sulfate and Sodium-Free) of the key ingredients for the maintenance and repair of healthy joint tissue. 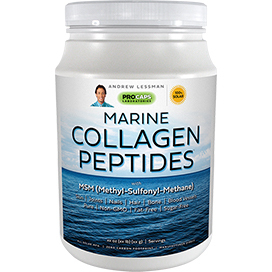 This unique formula begins with clinically-established levels and ideal forms (All Sulfate and Sodium-Free) of the two most important and well-researched natural ingredients for joint health: Glucosamine Sulfate (1,500 mg) and Chondroitin Sulfate (1,200 mg). Given the importance of Sulfur to joint structure and function, we then add 800 mg of organic sulfur from MSM (MethylSulfonylMethane). Because Turmeric (Curcumin) has such a long list of benefits throughout the body, particularly its centuries-old soothing role for our overworked joints, we also add 100 mg of our uniquely activated, and protected, Curcumin-Phospholipid Complex. Glucosamine and Chondroitin have been the subject of thousands of published articles and extensive international recognition; however, they are not medicines to treat joint ailments, but more importantly, represent the vital molecules that comprise the structure of all our joints - healthy or not. Glucosamine Sulfate is always the first line of joint defense, but unlike ordinary joint products, we refuse to use cheaper, unproven Glucosamine HCl (Hydrochloride). We only use the form of Glucosamine established in the scientific literature - Glucosamine Sulfate. Also unique is our special form of Sodium-Free Chondroitin Sulfate, which eliminates the Sodium often present in other joint products. Our special Calcium Chondroitin Sulfate eliminates the risks of Sodium and instead provides the benefits of 80 mg of essential Calcium. Sadly, typical joint products use inferior sources of both Glucosamine and Chondroitin. 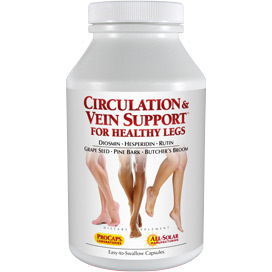 Ordinary Glucosamine HCl does not possess the research-established benefits of Glucosamine Sulfate while common Sodium Chondroitin Sulfate can adversely affect blood pressure and heart health by delivering unwanted Sodium. In short, Glucosamine, Chondroitin and the Sulfur from their Sulfate forms, as well as from MSM, all provide the essential structural ingredients that make up the "building blocks" or the very "bricks and mortar" of our joints. By providing these essential structural molecules in their optimum forms and at their ideal potencies, we deliver maximum benefits to joint structure, health and function. No other body part endures more daily use and abuse than our joints and MAXIMUM JOINT EFFORT delivers the proper tools to help combat and repair the consequences of a lifetime of wear and tear. Best of all, MAXIMUM JOINT EFFORT is uniquely All Sulfate, Sodium-Free and Additive-Free making it unlike any joint product in the world. To achieve the optimum nutrient levels established by the clinical research, consume the contents of one packet (5 capsules) daily with food. 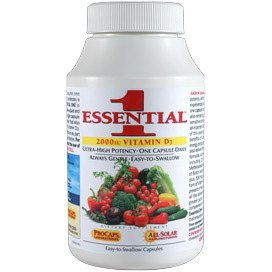 These five capsules can be taken all at one time or divided throughout the day with food. 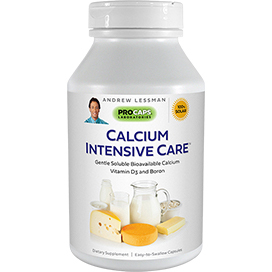 Maximum Joint Effort is most effective as part of a healthy diet and active lifestyle, along with one of Andrew Lessman's multi-vitamin-mineral formulas. This is a very good product for joints and would highly recommend.I have arthritis and have been with a product from Youngevity that had really helped my joint pain. With everything else I was taking as far as vitamins and minerals was too expensive. I checked with the people at ProCaps and came up with this product. It not only saved me money but is working better. Thanks! I have endured two knee operations and am looking at a knee replacement surgery. I started taking this product once a day and the inflammation is starting to decrease. I was actually able to bend my knee and take a step. I know this does not sound like much but to me it is a great improvement and I am looking forward to a lot more movement. Thank you and please do not discontinue this great product. It really does help! It Really Works and I Will Never Go Without! It simply works. No more aches and pains in my joints since using this product. It may cost you a little more but we all know you get what you pay for but I am worth it and you should be too. Thank you Andrew! When I started using this product I had pain in my knees, shoulders, hips, and sometimes my back. Within a few months, I begin to notice, the pain was getting less and less, until most of it was completely gone. I still had some soreness, in my left knee, when one day I tripped over my throw rug, caught myself , so I did not fall, but the pain in my knee was excruciating . I could not walk on it. I went to the Drs. and he told me after, an MIR, I had a torn meniscus and some arthritis also, and would probably need surgery. No, I said, I won't !!! I will take care of this myself. (fyi: I HAVE A GREAT POSITIVE ATTITUDE) so I proceeded to go home and double up on Mr. Lessman’s Max Joint effort, for about 3-4 months, everyday, I was careful with my leg, using a cane daily, and I also did some physical therapy exercises, the Dr gave to me. . WELL, I AM HERE TO TELL YOU, MY KNEE(S) HAVE NEVER FELT SO WONDERFUL, WITHOUT SURGERY, AS A MATTER OF FACT, I WILL BE 63 yrs old, IN MARCH AND I FEEL LIKE A 30 YR OLD, NO MORE PAIN ANYWERE. I just get up and walk. This product is wonderful and I recommend it to anyone, who has pain or discomfort in their body THANK YOU SO MUCH ANDREW!!!! I've noticed a tremendous difference in my joints since I started taking this product. The knee pain I used to have with normal daily activities is gone. My joints feel smoother and stronger. Andrew, thanks so much for this product. My husband has had several surgeries & cannot tolerate narcotic pain meds, and the Celebrex did nothing for pain relief. Within a month of starting the Maximum Joint Benefits, his joint pain was gone, and he is walking much better. My husbands orthopedic surgeon did not think this product would work, so he will be surprised to find out how well it does work. Thanks also for putting Tumeric in this product. I would give this product ten stars. Since my husband has been taking [Maximum Joint Benefits] for a little over a month, his joint [discomfort] has vanished, and he is able to walk without [discomfort]. ... My husband has had several back surgeries and a knee replacement and has a lot of joint wear from construction work most of his life. 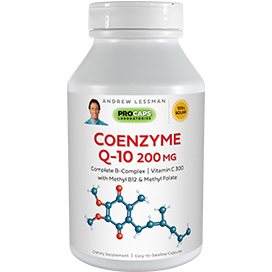 This product, along with the Men's Elite and other of Andrew's supplements, have made a wonderful difference in our quality of life. Thanks Andrew, and thanks to the people who give so much help when we order products and have questions. I own a housecleaning company, needless to say it's a lot of bending and hard on your back and most of your joints... I used to [struggle] every morning just to be able to function, since starting this product I am able to get up and go…thank God for Andrew Lessman!!!!! I had used another brand of Glucosamine - Chondroitin for years with little to no relief. I just thought knee pain was something I'd need to live with. 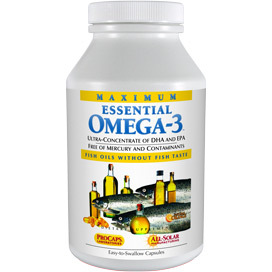 Then, I tried this brand because of the Glucosamine being in Sulfate form rather than HCL form. Within one month I was pain-free. I'm hiking and walking briskly again and feeling no pain! I'm on auto-ship as I would not go without this supplement. This has changed my life. Amazing. This product works when others have not. If you are just starting to use it, I recommend doubling up until you feel the relief and then going back to 1 package a day. The sooner the relief comes the better. I also appreciate the fact that it doesn't upset your system or leave an awful taste in your mouth. I was introduced to ProCaps Labs by my sister, who has been a long-time customer of yours. In February of 2007, I was diagnosed with [age-related changes] in my right knee. She suggested I try your website and order your supplements. …I have been taking Joint Benefits Plus ever since, and my knee is like new again!! I am so happy I found these wonderful supplements and will never stop taking them! Thank you for providing this wonderful product! [My husband] doesn’t believe in taking any [supplements] whatsoever. I started putting [Maximum Joint Benefits] in his pill case along with other pills he takes. His hip and knee was his complaint every day. He noticed in time that he started to feel NO [discomfort] at all. I recently ran out and didn't have the chance to order, but now he's telling me, ‘I need [Maximum Joint Benefits], NOW.’ Guess what? He is convinced. Especially since I told him that there are no additives in the [products] you make. Thanks a lot, Andrew. Keep it up. I have tried different vitamin products from what is considered being the best and Andrew's Maximum Joint Benefits beats them all hands-down! Thanks Andrew for adding the Turmeric to this product. I believe it enhances the product a great deal. THE BEST JOINT BENEFIT VITAMINS ON THE MARKET! Although this is the newest Maximum Joint Benefits now. My review is for the old Joint Benefits Plus. Having [joint issues] for almost 20 years, this is the best product I have tried hands down. I could feel the difference in my joint...function the same day. I can only imagine how the New Maximum Joint Benefits will work for me when I order my next one. Everyone should be taking this. It will definitely improve your quality of Life. Don't wait until it's too late. ...God bless you Andrew! but after taking Andrew's Joint effort for some time with no problems, I have developed a shellfish allergy, and can no longer take it. It is a wonderful product, but if you have any allergies to shellfish, please note this on his product info. I did not have an allergy to it in the past, but I do now, and the last time I took it, it was really bad, and I had no idea why??? I got tested and I can never take this again. For those without shellfish allergies, this is a wonderful product.